After introducing FaceTime into iPhone and iPod, now Apple comes up with its latest addition of FaceTime into Mac. Apple unveiled that final build of FaceTime in Mac is finally out and Mac owners can now download FaceTime for video chats with their friends. 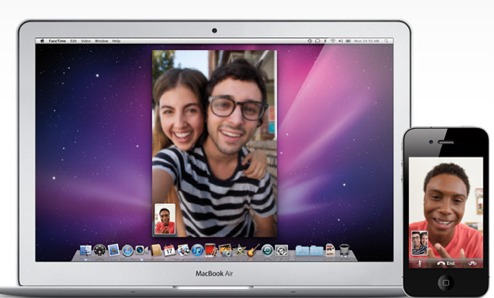 Apple more said that FaceTime for Mac lets people see video in standard definition or in HD up to 720p resolution. If someone calls a person on the Mac, the computer rings, regardless of whether FaceTime is running or not. In addition, if an Apple account is linked to multiple installations of FaceTime, calls ring on all the computers running the software. Apple first announced FaceTime for Mac back in October. At that time, the software was in beta process, but now Apple said that FaceTime for Mac is available in its Mac App Store for 99 cents. With the help of the app, those using Mac OS X Snow Leopard can engage in video chats with people using the FaceTime app on the iPhone 4, the latest iPod Touch, and other Macs. You can get FaceTime App for Mac here.